DENVER – After more than three and a half hours of high-speed pedaling over 100 miles of urban and mountain roads, the winner of the Colorado Classic’s Queen’s Stage presented by UnitedHealthcare came down to a finish-line sprint and Pascal Eenkhoorn (Team Lotto NL-Jumbo) timed it perfectly for victory.  The 21-year-old Dutch cyclist was one of a handful of riders to fire out of the peloton within the last mile of the race and shot past fellow sprinters Edwin Avila (Israel Cycling Academy) and Gavin Mannion (UnitedHealthcare), who finished second and third, respectively. Stage 3 was the longest leg of the 2018 Colorado Classic race, taking place on a scenic but arduous 100-mile course that included 8,133 feet of climbing, three King of the Mountain and two Sprint segments. From the Velorama Festival in Denver’s RiNO Arts District, the course shot west through Wheat Ridge (sprint No. 1) up and over Lookout Mountain (KOM No. 1), through Red Rocks, up through Evergreen (KOM No. 2) and Indian Hills (KOM No. 3), back through Red Rocks over Dinosaur Ridge to the sprint finish from Wheat Ridge back to Velorama. The excitement started early in Saturday’s race, with numerous attacks during the first sprint before the grueling climbs began. A group of seven riders peeled ahead early on and rode together nearly the whole race, including Hugh Carthy (EF Education-Drapac p/b Cannondale), who went on to win the Colorado Tourism Office King of the Mountain jersey, Daniel Martinez Podeva (EFD), who earned the IKON Pass Best Young Rider jersey for the second day straight and FirstBank Most Aggressive Rider Joe Dombrowski (EFD). Also in the mix were Damien Howson (Mitchelton-Scott), Keegan Swirbul (Jelly Belly preseted by Maxxis), Toms Skujins (Trek-Segafredo) and Bryan Sanchez (Holowesko-Citadel p/b Arapahoe Resources). The breakaway separated itself from the peloton by as much as 1 minute, 20 seconds throughout the race as speeds maxed out close to 60 mph and racers contended with thunder, lightning and steady rainfall throughout the day. As bright sun emerged, a headwind prevailed and the peloton, led by UnitedHealthcare, closed the gap with the breakaway group. Following the final sprint, Joseph Lewis (Holowesko-Citadel p/b Arapahoe Resources) earned the Frontier Airlines Sprint jersey as Skujins, along with UHC’s Mannion and Serghei Tvetcov, gave chase with the others in hot pursuit. Mannion, who won the Stage 2 time trial in Vail, was not aiming for another podium finish on Saturday but held strong to the blue Gates General Classification leader’s jersey and to UHC’s dominance at the Classic. Mannion leads the GC with a three-stage combined time of 6 hours, 41.33 minutes, follwed by Tvetcov, 15 seconds back and Carthy 22 seconds back. Fifteen of the world’s top men’s teams are competing in this year’s Colorado Classic, a field whittled from 90 down to 80 riders competing in Stage 3. Following the Queen’s Stage Saturday, the race wraps up with Stage 4 presented by Gates Industrial Corporation on Sunday, a criterium race through downtown Denver.